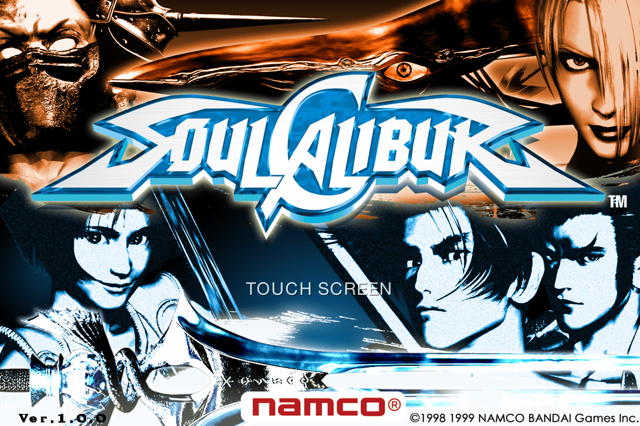 The last time I played Soul Calibur was on the Dream Cast gaming console, so you might say its been awhile. You can imagine my surprise, when the game suddenly appears on the app store. 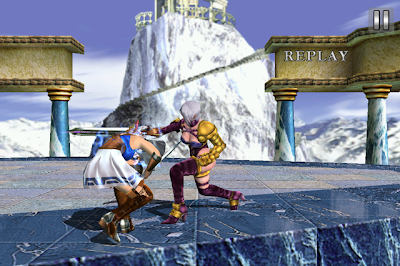 Joining the already crowded field of fighting games like Street fighter, Infinity Blade and even Fight Night Champion on the iPhone and other iOS devices, Soul Calibur is a welcome treat for nostalgic reasons. The game doesn't differ too much from its gaming console roots. The overall presentation appears nicely well done for the iPhone screen. You may have to lower the volume down though. The touch screen controls are simple enough to use and are nicely color-coordinated. It actually feels like I'm at arcade playing the game. Nice touch there Namco Bandai! 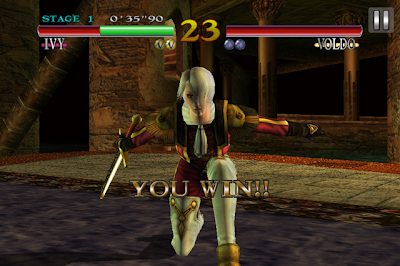 Overall, fans old and new will enjoy this arcade fighting game. While it doesn't offer anything new at the time of it's release for this platform, the lush visual graphics and simple game play will certainly draw any gamer's interest. We didn't experience any slowdown using the iPhone 4S running the latest system updates.